I'm a little late with this third installment, but give me time to explain before getting all mad at me for being tardy. If you read the previous article you will know that I recently launched a production company called Simply #1 Productions with a good friend of mine. So that has eaten up quite a bit of my free time over the passed week. However, I didn't want to go too long without getting this new issue up. So lets dive right in shall we? I'm currently enjoying the experience of Baten Kaitos: Eternal Wings and the Lost Ocean that originally came out on the Nintendo GameCube, but I'm playing it with my friend John on the Wii. Looking at over seven hours and have reached our third party member. So far we both greatly enjoy the battle system and yes it is card based. However this game is exactly how you should develop something that incorporates cards. It's fast, agile and the most important factor of all? Fun! I remember when we both started the game; feeling not so great about it when the cards popped up at the beginning of battle, but that went away once we began selecting cards and actions were taking place right then. Outside of Baten Kaitos I was playing Disgaea 3: Absence of Detention that recently hit the PlayStation Vita and I must say that I enjoyed it although it just wasn't quite the game I wanted it to be. the game was fast paced and funny just like the previous Disgaea games, but it just didn't scratch the RPG itch that I have for the Vita right now. The characters were lively and very well voiced, which was great to have, I just wish it wasn't so menu driven. There isn't much in the way of exploration either which has been a constant theme throughout the Disgaea games I have played. So maybe I will come back to it once I've gotten a true role playing experience in my shiny new handheld, but right now I just don't want the typical Disgaea experience. Over the last week I also read up on Sony's God of War announcement. Ascension seems to be a prequel from the mainline games that hit the PlayStation 2 (God of War and God of War II) and PlayStation 3 (God of War III). As a fan of the franchise I must say I was happy when I heard another game was coming down the pipeline. The thing that concerns me is Sony Santa Monica currently has several titles in development concurrently. 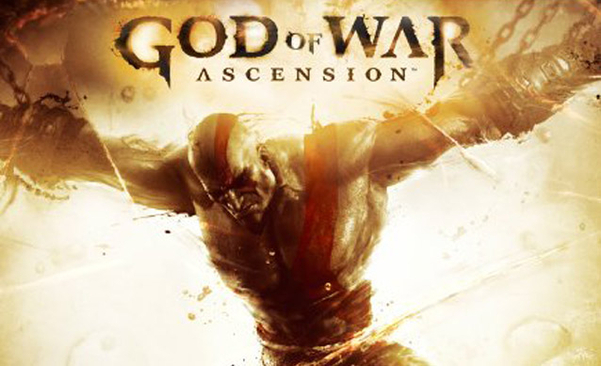 God of War: Ascension likely started a month after GoW III released in 2010, but rumors are the closure of Zipper Interactive has added properties for Santa Monica to deal with that they didn't create originally. So I hope their staff isn't getting spread out too thin and lose the quality that is expected of them. Right now I'm also working on several projects for Simply #1 Productions and looking forward to making waves with new announcements very soon!